One of our top selling standard food service cutting boards! Made from high density polyethylene (HDPE), these boards are a cut above the everyday cutting boards found at restaurant supply stores. Our boards are engineered to be denser, last longer and perform better in the kitchen and are popular with all of our restaurant customers. Stop throwing away cheap boards and buy quality boards that won't stall your line! All of our plastic cutting boards are NSF certified, stamped and will pass all health or food service inspections. As an add on, we highly recommend our Board Hugger cutting board feet. Made from food safe silicone, these slide onto the corners of a standard 1/2" thick cutting board and add instant grip and height to the cutting board, even on a wet tabletop. This makes for a sturdy cutting surface and can easily flip the board to use both sides in a pinch. Feet are easily cleaned and safe to use in a dishwasher. More sizes and colors available on our plastic board page. 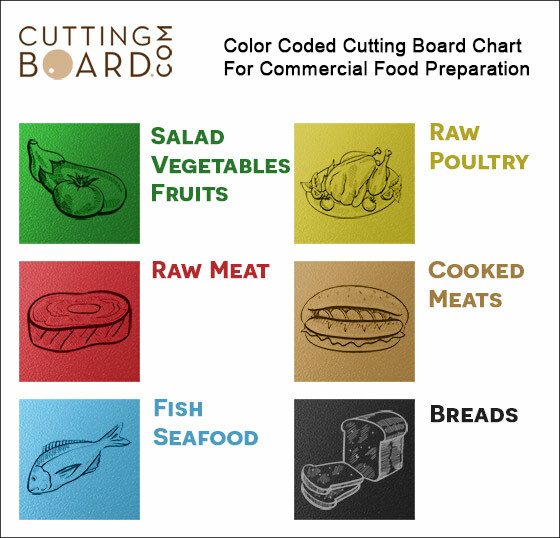 For non-standard sizes, go to our custom plastic boards page or contact us at help@cuttingboard.com for a quote. Click the button below to add the Commercial White Plastic Cutting Board with Groove - 20 x 15 x 1/2 to your wish list.